>> Baroque Pearls are pearls with an irregular non-spherical shape. Most cultured freshwater pearls are baroque. So each piece is unique, and we have tried to match best shapes for a pair. 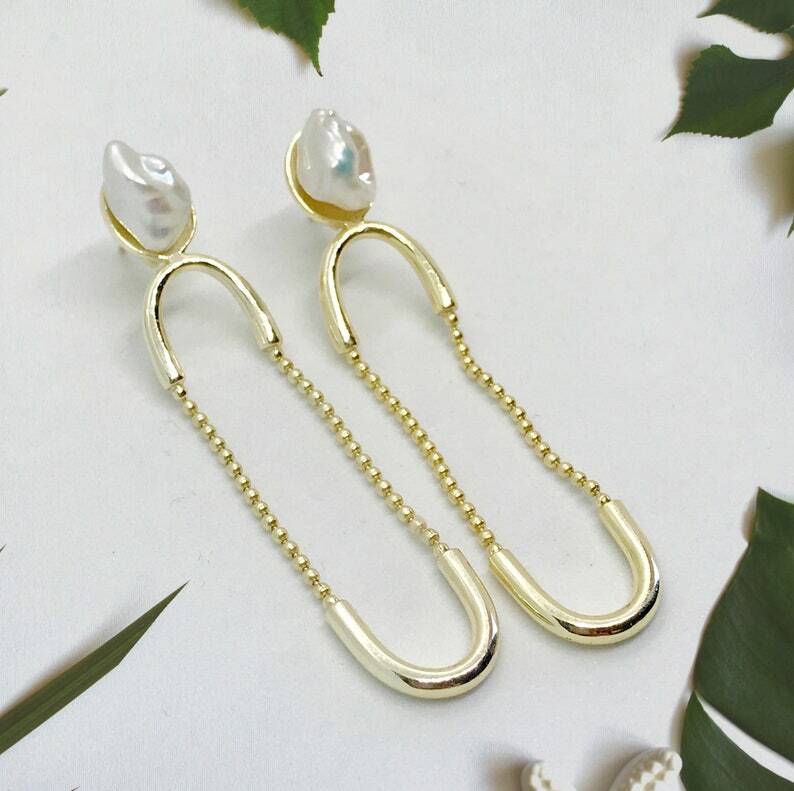 These Pearl Earrings are delicate, unique and Eye catching!! Just perfect for any occasion!